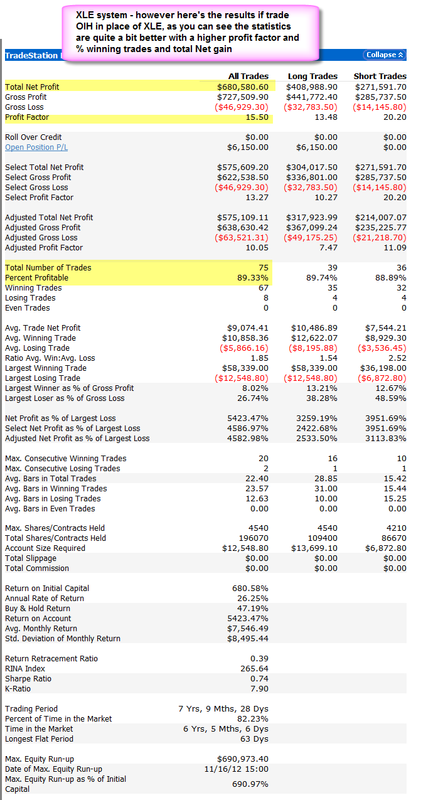 I've attached two TS reports, the first is the the system if you trades XLE, the second report shows if you traded OIH instead. 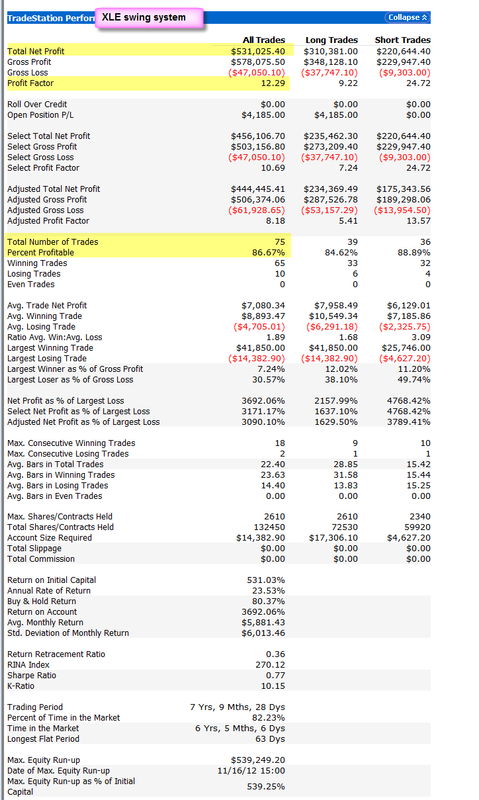 For the stats, I'm using 100K per trade non compounded. If I used compounded, it goes up to 11 million.